Interested in Donald Trump Jr.? Add Donald Trump Jr. as an interest to stay up to date on the latest Donald Trump Jr. news, video, and analysis from ABC News. The saga started after the president’s eldest son “liked” two Twitter posts that defamed David Hogg, a senior at Marjory Stoneman Douglas High School in Parkland, Florida, where a former student allegedly shot and killed 17 students and teachers last week. Jimmy Kimmel, host of “Live,” was one of the many late-night hosts who bashed Trump Jr. for endorsing the post. “People like Donald Trump Jr., the president's least-favorite son, are perpetuating this kind of stuff,” Kimmel said in his opening monologue Tuesday. “These are impressive kids who should be applauded. “But some are attacking them. People who call them fake news, who call them fake students, they say they are crisis actors -- the actors who orchestrate tragic events in order to advance some kind of liberal agenda,” he added. 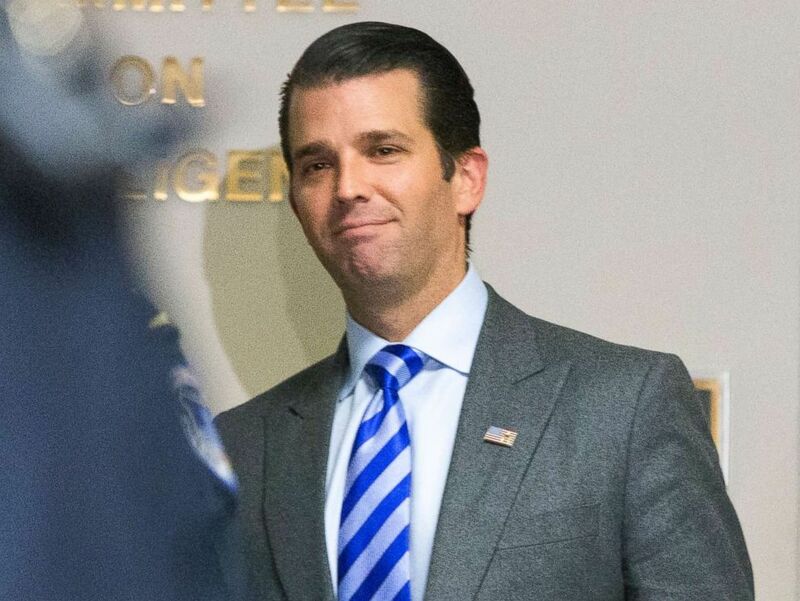 Donald Trump Jr. leaves the Senate Intelligence Committee, Dec. 13, 2017 in Washington, D.C.
“The Late Show” host Stephen Colbert was even harsher in his criticism of Trump Jr.
Hogg, who's rallied for tougher gun laws in the aftermath of the Feb. 14 shooting, rejected the "disturbing" claims in an interview with CNN on Wednesday. “I’m not a crisis actor, I’m someone who had to witness this and live through this and I continue to be having to do that,” he said in the interview. “The fact that these people refuse to believe that something like this could happen is something that all of us don’t want to believe, but the sad truth is that it is. “I’m the son of a former FBI agent and that is true, but as such it is also true that I go to Stoneman Douglas High School, I was a witness to this,” he added.